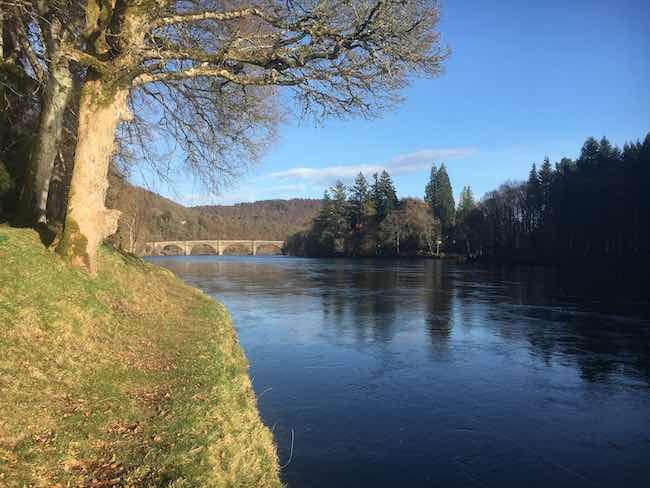 Apart from being Scotland's largest salmon fishing venue the Tay is logistically perfect for a salmon fishing event as it's within easy commuting distance from all major population hubs. 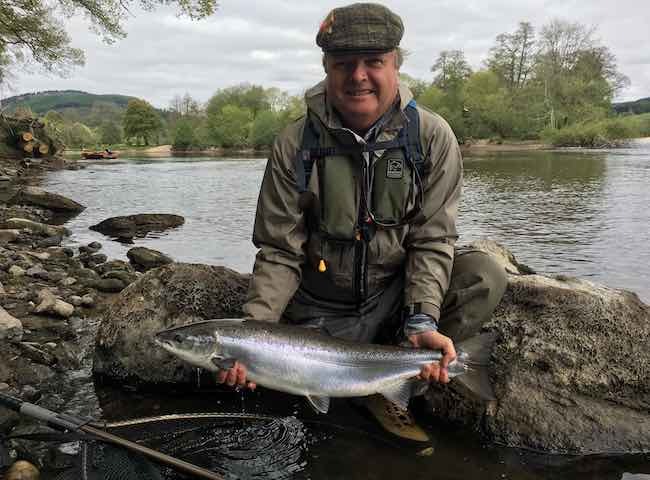 Here's a delighted client with a pristine example of a Scottish salmon that he caught on the middle River Tay near Pitlochry. Fine tune your predatory senses on a salmon fishing event day. Here's another shot of the illuminated Dunkeld Bridge taken from a more distant downstream direction. 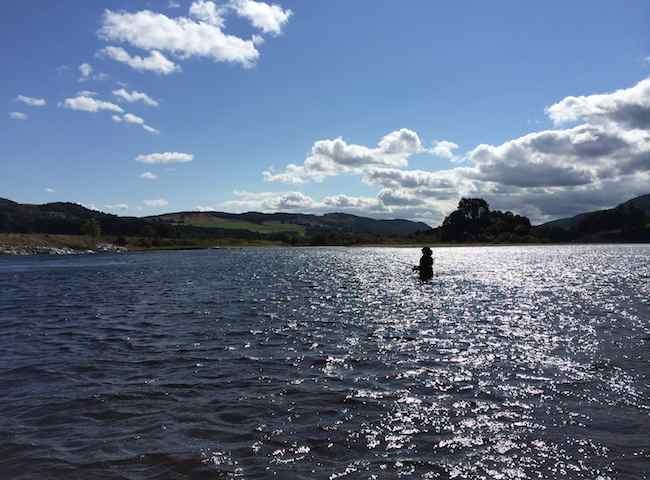 The is indeed a beautiful area of the Tay for your bespoke salmon fishing event. 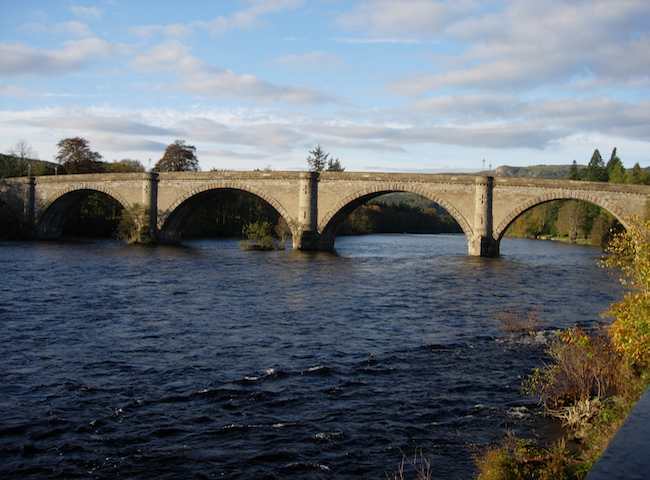 Here's a lovely shot of the historical Telford Bridge which spans the Tay in the Perthshire town of Dunkeld. 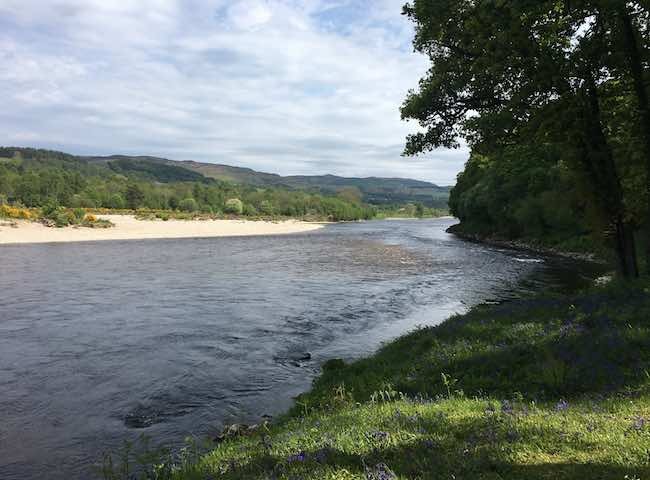 This entire area of the Tay Valley lends itself perfectly for a salmon fishing event. 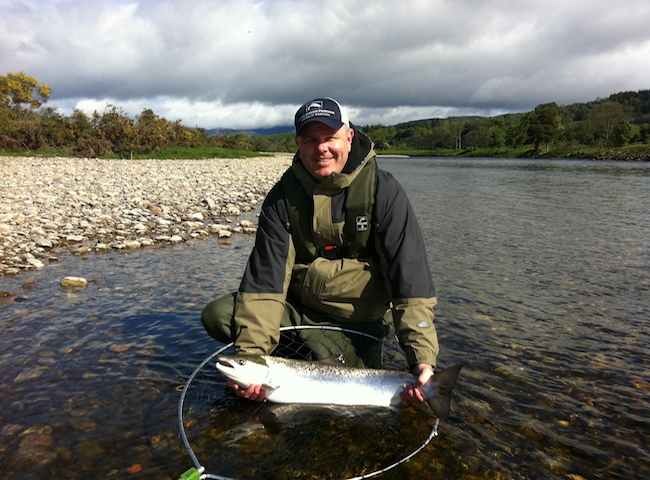 There's always a huge thrill involved in catching a River Tay salmon and an accompanying big smile. This was this guest's second salmon that he landed in rapid succession. 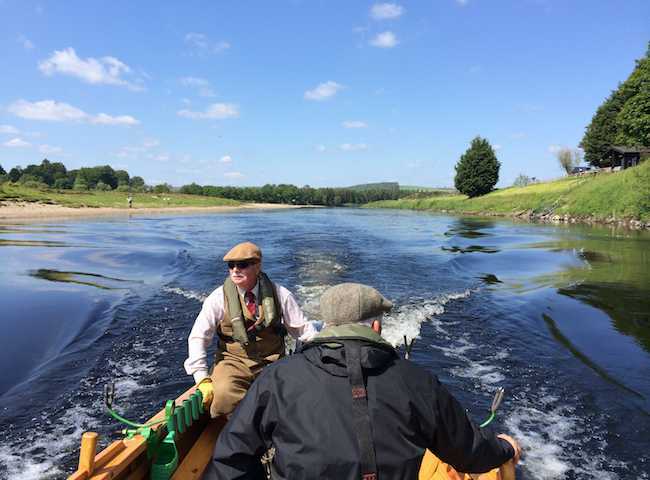 Here's a shot from the middle of the River Tay where a ghillie is taking fishing guests to the opposite riverbank in one of the traditional Tay salmon fishing boats. There's a huge thrill involved in catching a River Tay salmon and a real sense of satisfaction in putting newly learned skills to the test. Take the Tay challenge this year with your business associates. Break away from the normal boring tedious forms of entertaining or rewarding your key business colleagues & associates. The salmon river environment needs to be experienced to fully be appreciated along with the excitement of catching a salmon. Here's another perfect shot of the magnificence of the River Tay and its ever changing light shows. Treat your business colleagues to something naturally special this year. 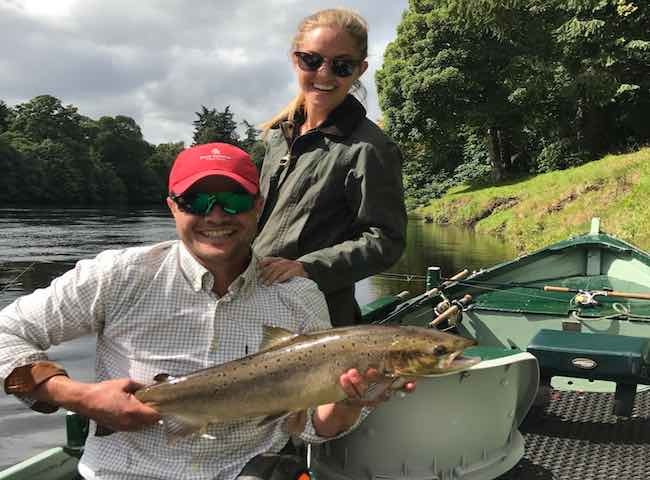 Aside from being out in Perthshire's very finest natural environments a salmon fishing event day will provide a quality insight into the most traditional of Scottish rural pursuits. 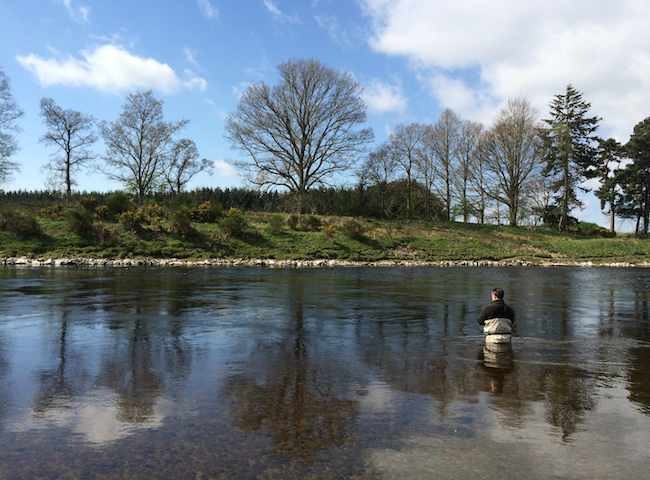 Here's a peaceful scene from Scotland's flagship salmon fishing venue the River Tay. 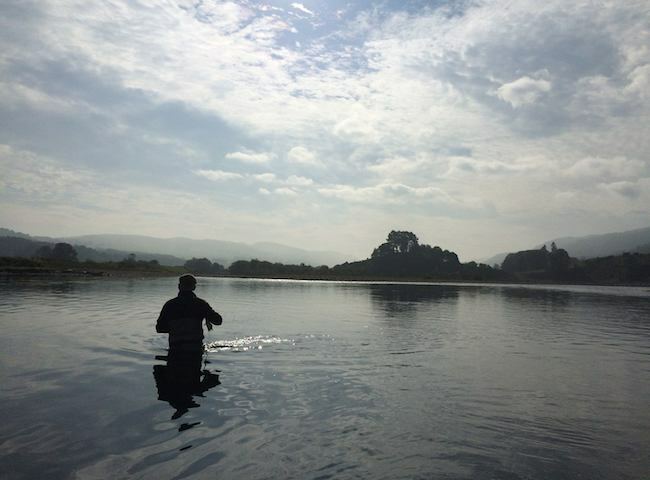 There's something truly magnificent about being out in the Tay searching for salmon with a fly rod.